Despite the seemingly unending winter weather, Maryland found that the population of blue crabs in the Chesapeake Bay are "healthy and sustainable." 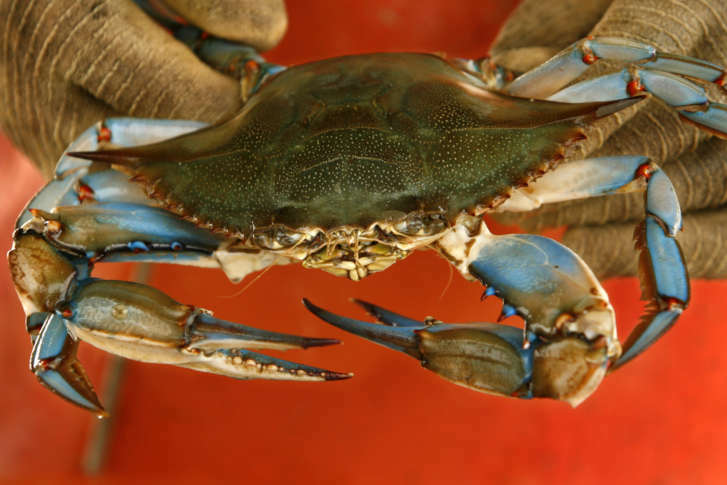 According to this year’s Blue Crab Winter Dredge Survey from the Maryland Department of Natural Resources, even though around 35 percent of adult female blue crabs didn’t make it through the cold, icy weather, there was a marked increase of young crabs returning to the bay this year. “The population is showing more resiliency to those ups and downs and those stresses,” said Chris Moore, senior regional ecosystem scientist with the Chesapeake Bay Foundation. The survey shows a decrease in the bay-wide crab population from last year, especially spawning females. But Moore said looking at the increase in juvenile crabs is a good sign, since watermen will be harvesting them later in the year. Moore said regulation changes to reduce harvesting of female blue crabs late in the season and other species management practices are helping. The department said that a full analysis is planned this summer from the Chesapeake Bay Stock Assessment Committee.